feed4ceres brings your Insta feed into your Plentymarkets Ceres Shop! Install the plugin, connect your Instagram account and present your images in your Ceres Shop! Synchronization in REAL TIME! Set up only once and then it's all automated. No coding is required! Multiple premade templates and styles available in the plugin to match your store branding. Post your Instapictures and pimp your Ceres Shop content with your Instagram Feed. Just send us a PN to @PIXELPUNKT via Plenty-Forum and we will reply within 48 hours. Are you ready to make your Plentymarkets Ceres Shop sexier? 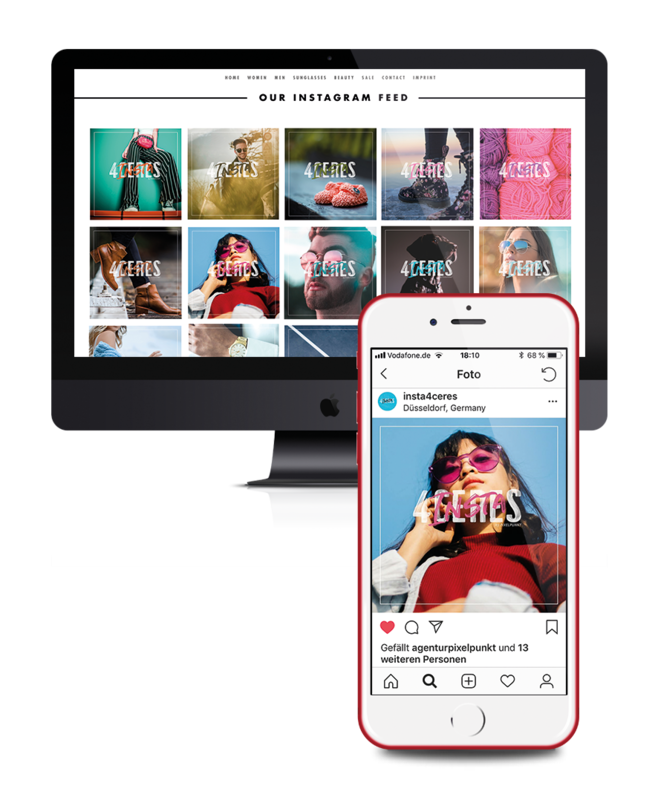 Take advantage of your Instagram account by connecting it with your store and present the photos from your Instagram account. Customers always love to see your Instagram photos as it creates a connect between users and the business.